E-16/2 is a developed sector with all facilities like water, gas and electricity available, possession has been given. 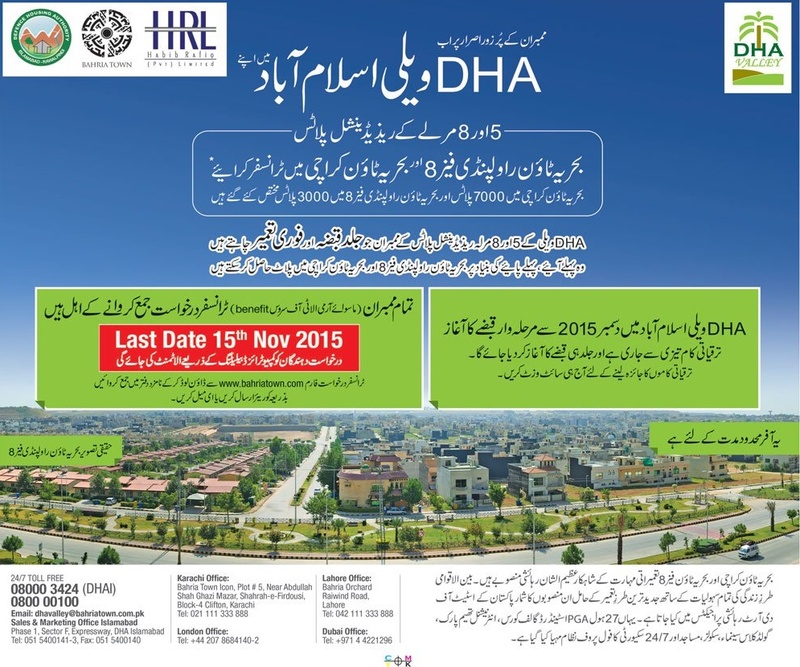 Members have started residence in this sector and many houses are under construction in e-16/2 at present. CDECHS has some land in between street no. 4 and 5, which measures around 9.50 Kanals and society has reserved it for commercial usage. There are 18 commercial plots in this patch of land which is class III shopping center, where plot sizes are 30×35 and G+2 stories are allowed. CDECHS has called for sealed bids from general public as well as society members who are interested to book these commercial plots. Society has fixed the starting price at 35,000 per square yard and called for sealed bids. Out of these bids, 12 plots plots will be given to highest bidders, while remaining 6 plots will be given to CDECHS members who had bid in the auction. 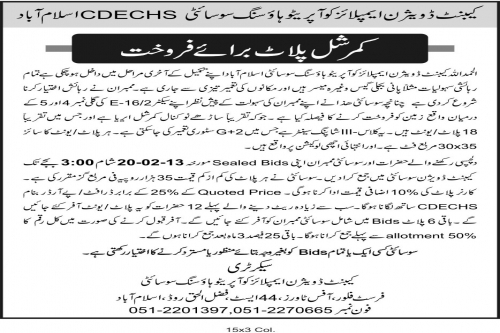 Bidders are required to submit a payorder/demand draft in favor of CDECHS for the amount equal to 25% of the quoted price along with their sealed bids to the Cabiner Divison Society office by or before 3:00 Pm on 20th of Febraury 2014. Corner plots will cost 10% extra. In case a bid is accepted, the bidder will be required to pay 50 % of the bid amount immediately and the remaining 25% will need to be paid after 3 months. Note: CDECHS reserves the right to accept or reject any bid without disclosing the reason.